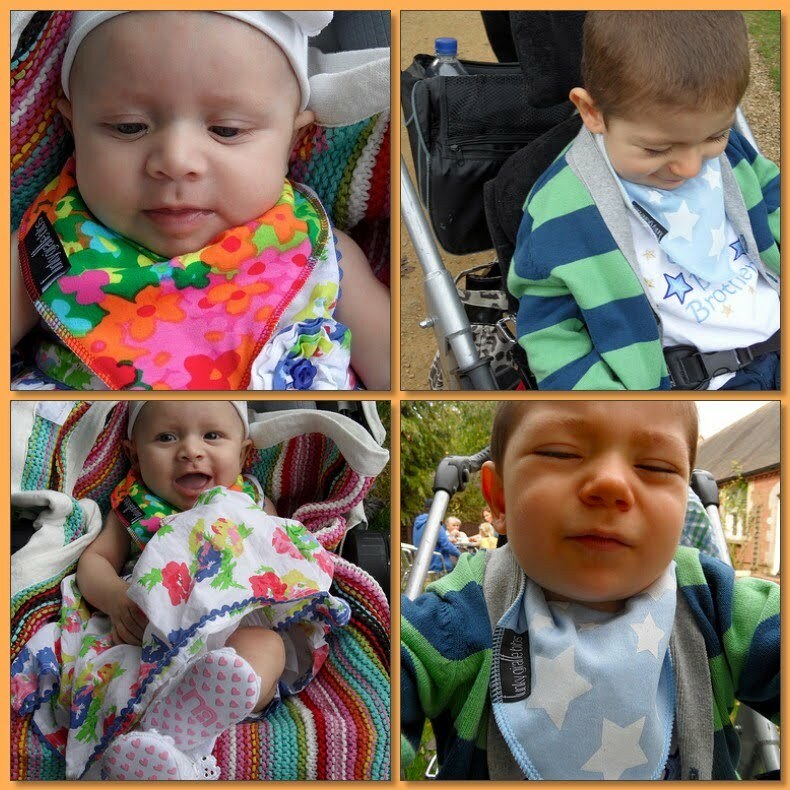 > The lovely people of Funky Giraffe Bibs noticed through the wonderful world of twitter that I am constantly complaining, oops I mean discussing, how much my 2 little munchkins drool. Addison is obviously just getting to the beginning of the teething months and is constantly soaking her bibs through to her clothes, I would like to say this has stopped with Grayson but unfortunately like a great deal of disabled children Grayson has a large drooling problem due to frequently having his hands in his mouth. So when Funky Giraffe Bibs offered us the chance to test out their bandanna bibs I bit their hands off, I hate un-pretty bibs, I spend a fortune on pretty bibs, but they still always cover up their gorgeous outfits and by the most part get soaked through, this is where Funky Giraffes Bandanna bibs stand out from the crowd. Funky giraffe make fashion styled bibs from a soft cotton outer layer and a fleece lined back, so they should stop the greatest dribble from escaping to the clothes, on top of this the great design lip means they sit up right under babies chin to stop horrible dribble rash, before this review we had only used one Bandanna bib from the supermarket which cost a staggering £9, I must say it had worked well but after a few tumble dries was starting to falter. Well not these, both my little ens have tried and tested the Funky Giraffe Bibs for over 2 weeks now, they have been washed at 40 degrees and tumbled numerous times and are the same as the day they arrived. But did they stop the dribble getting through ? Indeed they did, I was amazed to be honest, we used them on a weekend out, a day at Sheffield Park, when they were both sat in their pushchairs so dribbled and drooled a great deal and at our local Cider Festival where they were being passed around. The only reason I had to change bibs was purely because the fronts were soaking wet, the fleece back and the kiddies clothes were bone dry, it was astonishing (even their grandparents where amazed as they thought was a bit of a fad and I was being silly), no horrible stain marks on the kids clothes at all and to top it all off you could see their gorgeous outfits, I think they made a great addition, don’t you? We were also sent a new XL Bandanna bib to try out which is a new concept and concept it should be no more, as I said Grayson is nearly 3 and due to his special needs drools a lot but is obviously larger than a normal little baby, this worked wonders, he could drool to his hearts content and not a sip went through. So I shall favourably be recommending these to my friends with hundreds of designs and at 4 bibs for £8.60 bargain doesn’t cut it, we shall also be ordering some more this week to get us through the tough teething times ahead. Don’t forget to go order some for yourself and let Funky Giraffe know you popped by from here. 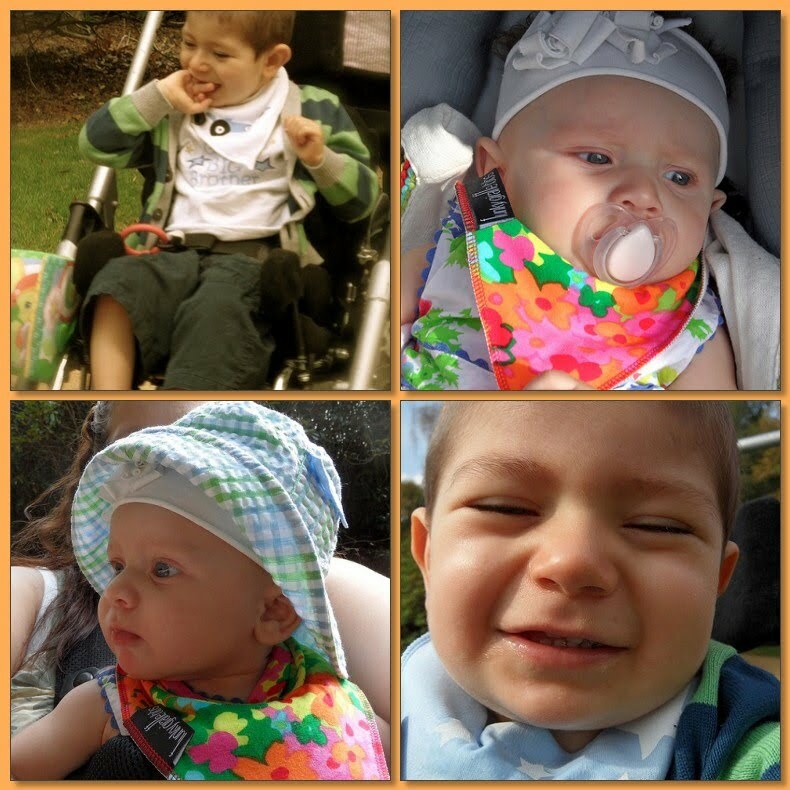 Disclosure – We were sent these bibs FOC from Funky Giraffe Bibs for our families views and opinions.